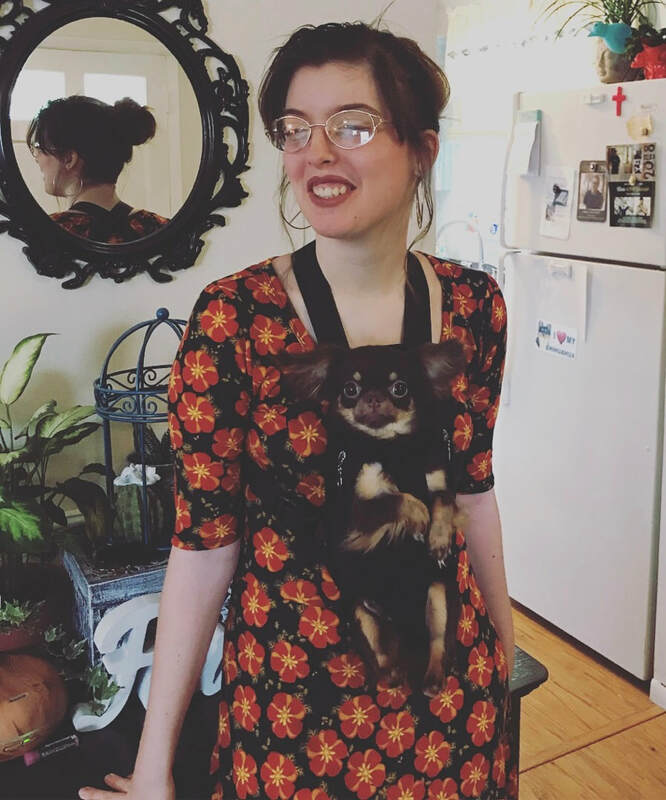 Hand Delivery of puppy by Ginger now available ✈️ This is my daughter Ginger  Over the years she has been the best big sister to all our chihuahuas and best helper!! She is now 18 years old (I can’t believe it )!! We have always been against shipping puppies in the cargo belly of the plane, and delivery with a puppy nanny in the cabin worried me too since I don’t know these nannies personally. My daughter had the idea that she could delivery the puppies for me! She is literally the ONLY person I would trust to deliver my puppies. She would fly with puppy in a soft sided carrier by her feet on the plane. They do allow you to take puppy out during flight to care for them. She would fly from Tampa airport to your closest major airport on direct flights only. Delivery fee varies by location. Contact for more info.